Visa and Mastercard accepted. 10% service charge. "Nurse! Quick! I need 1,800cc's Vodka Punch. 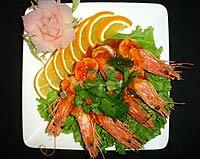 Hand me the Thai Style Sauteed Prawns! Stat!" All right. These words may not be heard in an ER, but they could be ones shouted out at the DS Music Restaurant on XinSheng North Road. This undeniably interesting restaurant is the ideal spot to recuperate after a day at work. 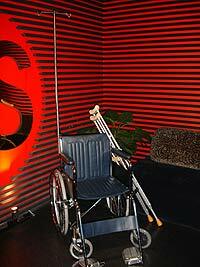 The name may imply a theme based around music, but the crutches, X-rays and wheelchairs here tell a different story. While hospital food isn't exactly pleasing unless you're dying, the fare at the medically-sound DS Music Restaurant won't leave you ill but, rather, actually calling out for more. On the night I dropped in, I sat with my friends and within minutes the uniform-clad "nurses" and "doctors" were bringing out plate after plate of succulent Eastern inspired dishes with a bit of kick. The Thai Style Sauteed Prawns (NT$360) were my absolute favorite and the sauce alone, with its bit of hit mingling with the sweet tanginess of pineapple and spices, was a delight on my tongue. The prawns are large enough that, if you're sharing, you won't feel cheated if you have just one. But, if you have them as a meal, you won't be disappointed. 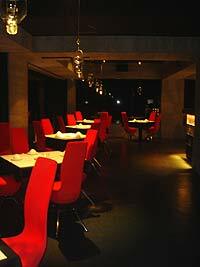 The wide variety of dishes at DS Music Restaurant provides a little something for everyone. Whatever you choose, all can be washed down with the Vodka Punch (NT$500). 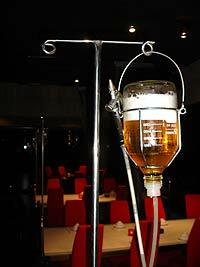 Served with an IV hanging from the ceiling, this multi-fruit juice-infused cocktail can't be found at your local clinic. Theme restaurants come and go, but with excellent food, a fun theme, and the cool decor, this place is hopefully here to stay. In a neighborhood with many traditional-style restaurants, the DS Music Restaurant is like CPR delivered by George Clooney: heavenly.